Some notorious cultists have killed a man while injuring many others during a brutal cult war in Lagos State. One person was killed and many others, including a policeman, were injured in a gang war in Iyana-Ipaja on Wednesday, according to The Nation. The sad incident took place at Abule-Oki, Iyana-Ipaja, was over a girl. It was gathered that youths from two streets engaged in a free-for-all on Tuesday, following the harassment of the Iyana-Ipaja girl by suspected cultists at a party in Elere, Agege. The girl reported to youths of her area, who went on a reprisal. They were said to have thrown bottles across the road, obstructing traffic until the arrival of policemen. The fighting resumed on Wednesday during which a young man was killed. An RRS officer was wounded on the head when the warring youths smashed the rear windshield of his patrol car. Yesterday, police Commissioner Fatai Owoseni told reporters at the Command’s Headquarters, Ikeja that the body was recovered. But RRS, in a statement, said 20 were arrested. According to Owoseni, “preliminary investigation conducted by the police revealed that a lady who resides at Iyana-Ipaja area had attended a party at Elere. While at the party, she was attacked by some youths in the area. When she got back to her base at Iyana-Ipaja she recounted her ordeal to those in her area who immediately embarked on a reprisal attack. In its statement yesterday, RRS said over 100 youths set up bonfire on the Lagos-Abeokuta Expressway, halting vehicular traffic on both sides of the road. 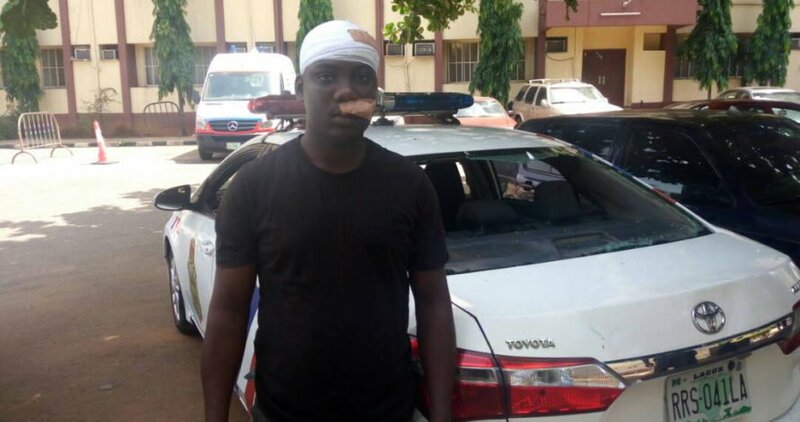 “The officers were pushing back the youths into the inner streets of Abule Oki when the youths pelted the police with stones and broken bottles which smashed the head of an officer and the rear windshield of one of our operational vehicles, a Toyota Corolla marked RRS 041 LA. While the RRS officer was taken to the hospital, those arrested have been transferred to Area Command,” the statement said.